From time to time, a PR company that works with Auchentoshan sends me some samples of their new stuff and clever ideas they’ve been working on. 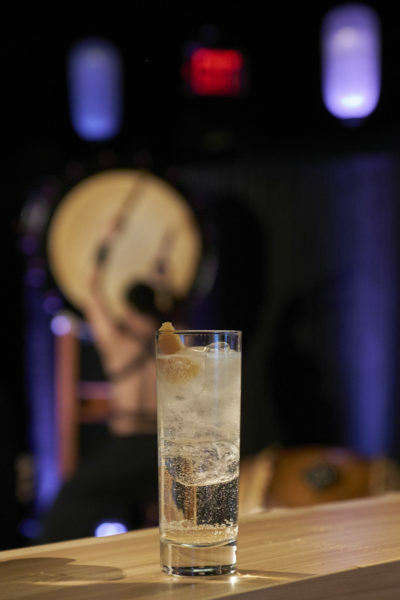 One idea they recently sent me is something I’d never considered before — ever make a beer and whisky cocktail? Before you think it sounds absolutely crazy… hear me out, it’s quite clever and I am definitely going to try this out at home. 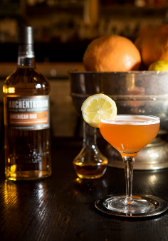 Auchentoshan reached out to Master Cicerone Pat Fahey (Master Cicerone is the highest level of Cicerone certification for beer) and they put together three cocktails that, at least to my non-Master Cicerone brain, sound pretty tasty for the summer. Instructions: Stir all ingredients and strain into a coupe. Garnish with lemon wheel. My thoughts: An IPA huh? I’d try for one from the west coast, where the hops are more citrusy and floral, rather than what is typical of east coast IPAs. Hop heads will know what I mean. Instructions: Build in a tall glass or beer stein filled with ice. Stir. Garnish with lemon peel. My thoughts: This is the one I’m most likely to try next. 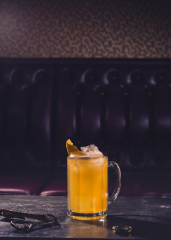 I love witbier, I love honey, I love lemon… put it all together and you have yourself a nice sweet lemonade with some kick. Instructions: Slowly shake all ingredients with ice and strain into rocks glass. May add large cube. My thoughts: Chili??? It’s relatively small but I’m always hesitant about spiciness in my beverages (I love spicy food though). 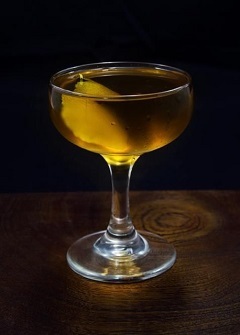 Otherwise, this cocktail sounds great, I love the rich roasted chocolate in Poters and when you add the sweet fruitiness of the 3 Wood it’s a potent combination. 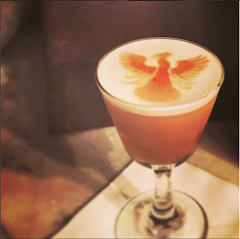 What are your thoughts on these cocktails? 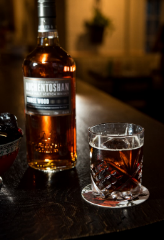 When I’m sitting at home by myself or with a few friends, my drink of choice is a whisky of some kind, neat. 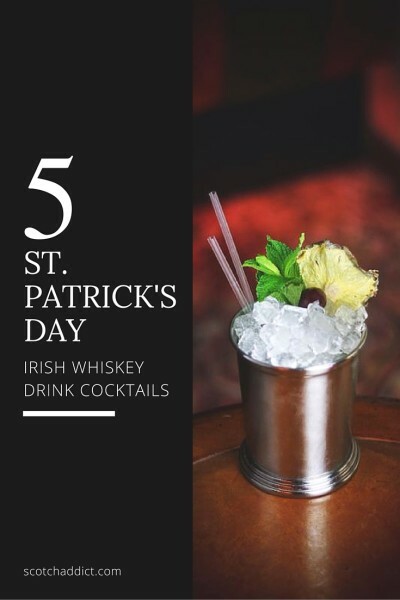 So, as we near St. Patrick’s Day… my friends at Teeling (I wrote up tasting notes for their Single Grain a while back) sent along some ideas for tasty cocktails I should try as we celebrate the Apostle of Ireland. 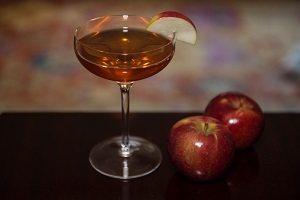 We have five on the menu and what is intruiging about each is that they offer something different for each aficionado. Aerated double cream with orange zest. Put ½lb (230grm)softened unsalted butter, ½lb(230grm) muscavado sugar, 1 tsp ground cinnamon, 1 tsp ground Nutmeg, 1 tsp ground all spice, and ¼tsp ground clove into food processor and blend it into a paste. Enough for 10-12 portions of Hot Buttered Whiskey. Preparation: Use a heated heat-proof glass, add hot water and 1 Tbsp of spiced butter mix and stir until dissolved. Add whiskey and a layer of aerated cream. Garnish with ground nutmeg. 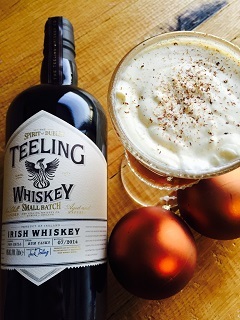 The Teeling Small Batch works well in this because it’s rum cask finished, so this is like a Hot Buttered Rum but with whiskey. 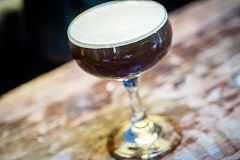 Irish coffee is pretty simple to prepare, just mix the first four ingredients together and then top with some fresh cream and garnish with a sprinkle of nutmeg, fresh if you have it. In a pot, put a Liter of water, 2.2 lb (1 kg) of Demerara sugar, and 1.76 oz. (50g) loose Lapsang Souchong tea. Bring to a simmer and infuse for 4-5 minutes and all sugars are dissolved. Strain out tea leaves. Preparation: Once you’ve made the syrup, the rest is pretty easy. Add all the ingredients to a cocktail shaker with ice and shake for 10-12 seconds. Strain off the ice and dry shake without ice for 10 seconds. Garnish with butters. Preparation: Pour all ingredients into a cocktail shaker and shake vigorously for 10-15 seconds. Strain into a rocks glass with crushed ice. 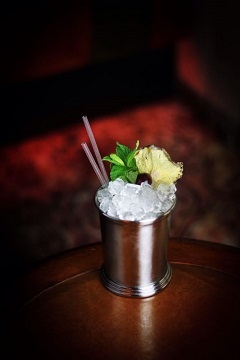 Garnish with a pineapple slice, mint sprig and cherry.